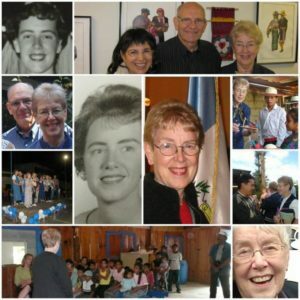 During her life, Edie exemplified the verse from Hebrews 10:24 – “Let us consider how to stir up one another to love and good works.” We thank our gracious and merciful Lord for working through Edie to make others aware of the educational and spiritual needs of children in third world countries… and for “stirring them up” so that they too would get involved in sharing the love of Jesus. While we mourn the loss of this faithful servant, we rejoice that she is now experiencing the love of Jesus firsthand – in the presence of her Savior. Pray that our LeadaChild ministry can continue in this “Hebrews 10:24” manner… that many hearts might be stirred up and inspired to great works of love and service directed toward children and the provision of a beneficial education and Gospel-centered teaching and learning.